We do love breakfast sausage in our home. As a matter of fact, we like sausage with our breakfast whether we eat it in the morning, afternoon or at dinner! I have tried different sausage brands over the years and have found only one which my picky allergy eaters will eat without hesitation. 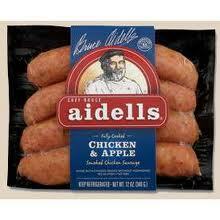 Aidells Chicken & Apple Smoked Sausage, distributed by Aidells Sausage Company, San Leandro, CA. Ingredients include: CHICKEN, DRIED APPLES, SALT, FRUIT JUICE CONCENTRATE (APPLE, PINEAPPLE, PEAR, AND PEACH), SPICES AND CELERY POWDER, IN A PORK CASING. It also states on the packaging: NO GLUTEN, NO MSG, NO NITRATES, NO ADDED HORMONES, NO ARTIFICIAL INGREDIENTS, MINIMALLY PROCESSED. For more information, contact: http://www.aidells.com/ or call 1-877-AIDELLS or 1-877-243-3557. 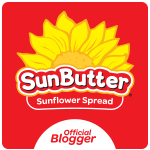 This is one of those websites that contains a ton of information about their products. I have tried other brands. I have tried products which look the same visually. NO GO. If, by chance, I can get my milk/egg/nut allergy kid to try a bite out of the other sausages, he won't take a second bite once he knows the wool has almost been pulled over his eyes! Although these can be a bit more expensive brands, I must admit, we all love them. We eat them plain, in soups and with our pasta. I love the health benefit that they are made with chicken and some of their variations are just as good. Just watch out for some which are made with cheese in them. 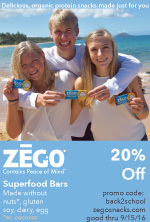 Keep on eye open in your local discount grocery stores. I am always pleasantly surprised when I find one of their larger packages on sale for about $8-. You, too, may be so lucky!